The current state of Store Fixture manufacturing is pushing full force toward automation with digitally connected machines that all run their own databases.These machines are inter-connected and work as a whole toward providing a final product for our clients. Gone are the days of flipping an on-switch and just feeding a piece of wood into a machine. 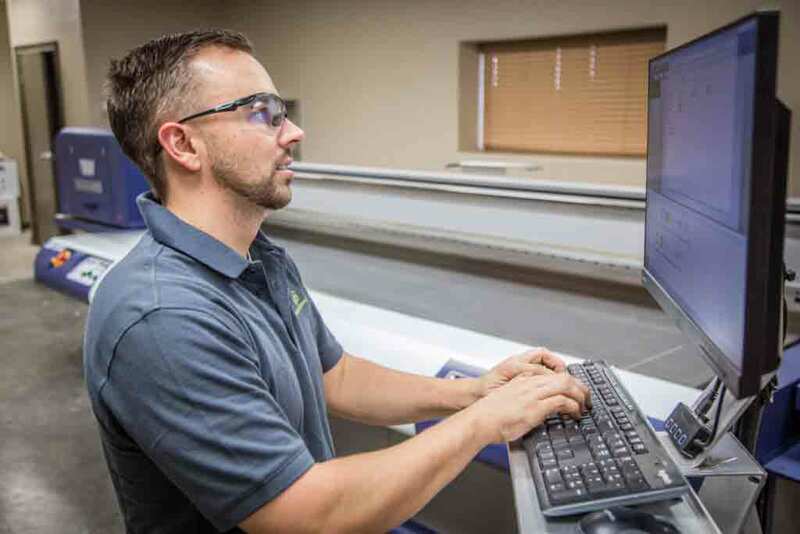 At Advanced Fixtures, Inc. (AFI), we saw this technological shift early on and realized the value that could be gained by not only having a strong in-house IT department, but also having a strong in-house store fixture manufacturing software development team. Inter-connected machines were only the beginning. By leveraging our development team, AFI has created a custom-built software package that creates an inter-connectedAFI. We break down the silos that tend to naturally form within an organization and inter-link departmental data and activities to create a complete overview, and singularity of purpose, within our facility. Our first question when creating internal software is: “How does this help us serve our customer?” With that thought in mind, we have created a web of data and interactions that have made AFI a leader in both internal and external customer service. In-House reporting and analytics tools have allowed AFI to truly leverage the data provided by our inter-connected organization. The analytic packages we have created allow us to buy, build, ship and install retail store fixtures smarter and with less costs. We are able to predict cost increases and inefficiencies and pro-actively reduce or nullify their impact on both AFI and our clients. Trends in quality and service level are also closely tracked with data analytics to identify course corrections before anything can impact our clients. This is perhaps one of the biggest advantages to keeping our software development team in-house, as it offers a continuous learning loop with immediate feedback. Having such feedback available then allows AFI to make improvements on raw materials, process optimizations, and even packaging and delivery. We are able to then pass on these benefits to our clients, keeping AFI competitive and providing our store fixture clients with increased value per dollar spent. In the ever-changing business landscape that technology is creating, a company that can adapt quickly and analyze data thoroughly is the key to creating success within the new retail store fixture manufacturing landscape. Software created internally has kept AFI agile, driving cost savings, efficiency, quality and communication not only within our facility, but between Advanced Fixtures and our clients.